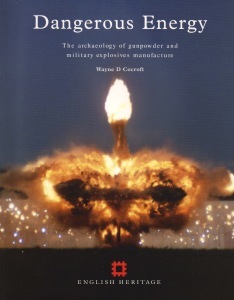 This book comprises a national study of the explosives industry and provides a framework for identification of its industrial archaeology and social history. Few monuments of gunpowder manufacture survive in Britain from the Middle Ages, although its existence is documented. Late 17th-century water-powered works are identifiable but sparse. In the later 18th century, however, the industry was transformed by state acquisition of key factories, notably at Faversham and at Waltham Abbey.In the mid-19th century developments in Britain paralleled those in continental Europe and in America, namely a shift to production on an industrial scale related to advances in armaments technology. The urgency and large-scale demands of the two world wars brought state-directed or state-led solutions to explosives production in the 20th century. Yhe book’s concluding section looks at planning, preservation, conservation and presentation in relation to prospective future uses of these sites.